Marinova, M. Atanasova, E. Benova. Ivanov, T. Bogdanov, E. Benova. In Microwave Discharges: Fundamentals and Applications, eds. A. Gamero, A. Sola, UCOPress Editorial Universidad de Cordoba, Spain (2015) 51–56. In Microwave Discharges: Fundamentals and Applications, ed. A. Gamero, A. Sola, UCOPress Editorial Universidad de Cordoba, Spain (2015) 69–74. Effect of gas discharge conditions on argon surface-wave-sustained plasma torch kinetics. In Proc. 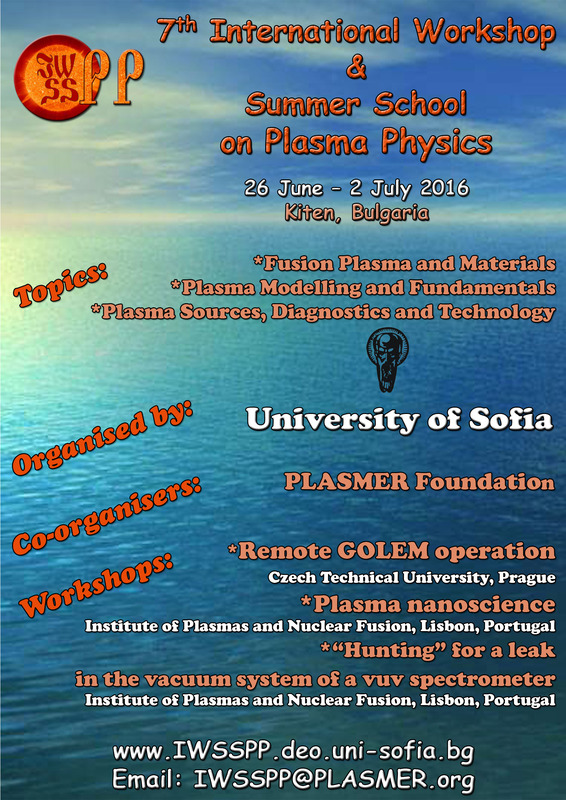 22nd International Symposium on Plasma Chemistry, July 5–10, 2015; Antwerp, Belgium, 2015, P-I-2-44. Atanasova, M., Carbone, E.A.D., Mihailova, D., Benova, E., Degrez, G., Van Der Mullen, J.J.A.M. Ivanov, K., Bogdanov, T., Benova, E.
Dimitrova, M., Ivanova, P., Kotseva, I., Popov, T.K., Benova, E., Bogdanov, T., Stöckel, J., Dejarnac, R.